If you’re planning on having a themed wedding, you should probably let your guests know ahead of time. The perfect way to get the word out is with appropriately designed wedding invitations. For example, this Masquerade Invitation is definitely worthy of a wedding celebration and features an intricately designed mask, colored ribbon and wording in a font and color of your choice. If you want to get the most bang for your buck, you could also consider this Masked Mystique – 3 for 1 Invitation, which includes the invite, response card and reception card. Across all three pieces of stationery, you’ll find a coordinated masquerade theme with colorful swirls. Place a different masquerade mask on each guest’s place setting at the reception. This way, right when they enter the venue they can disguise their identity and set the tone for a very fun and mysterious celebration. Of course, the bride deserves an extra special bridal mask, like this mask-turned-veil. Oh, and don’t forget about one for your other half. Wearing these masks together can create a super fun photo shoot opportunity. Decorate the top of your tiered confection with a masquerade mask. This bride also used elaborate beading, sequin embellishments and large feathers to really stick to the theme. If you’re not having a cake and you’re opting for cupcakes instead, you can do the same. 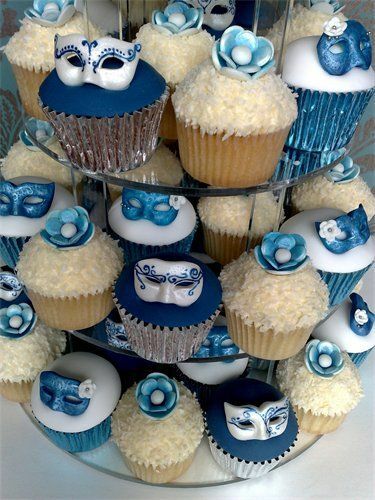 This bride chose a color palette of blue, silver and white, and topped each sweet treat with its very own decorated mask. Make sure your bridal ensemble screams masquerade from your head to the tips of your fingers. Consider getting a manicure of black lace, like this bride did, for truly mystical nails. Candles are a must-have at weddings. When grouped together, they create subtle and cozy lighting that is perfect for an intimate celebration. 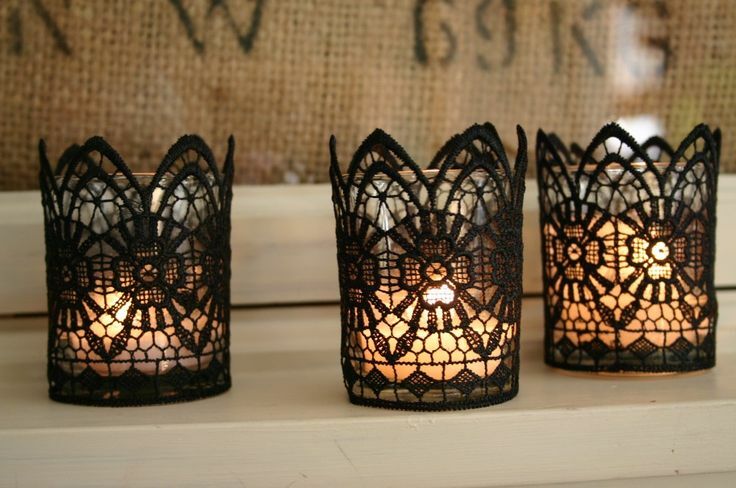 But in order to make your candles fit the masquerade vibe, you’ll want to put them in black lace holders. The shadows from the flame will display an ornate pattern on your reception tables. Adorn your wedding place cards with tiny masquerade masks. Use glitter, metallics or embellishments to dress up the cards. 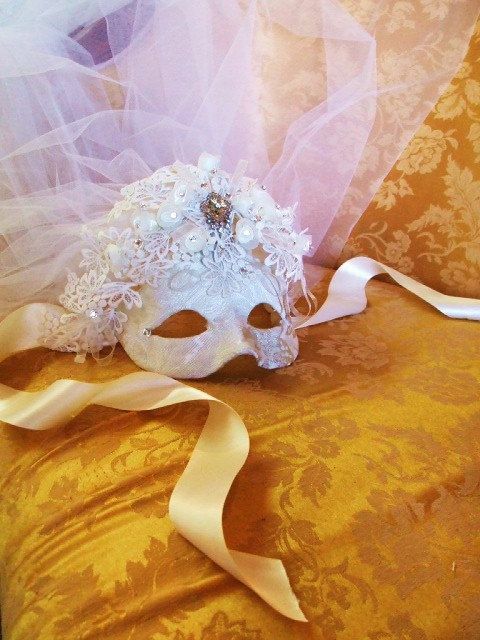 Do you have any other ideas for a mysterious masquerade wedding theme? Share your thoughts with us!